Most medium to large size organizations have some version of “high potential” programs. These are programs designed to identify and prepare future leaders for larger roles. These elite pools of employees are often officially or unofficially labeled as “hipos”, “rising Stars”, “fast trackers”, or “the chosen”. Companies often don’t come right and tell you if you’re in one of these pools. They are concerned you might get too entitled or full of yourself. Also, if they tell you that you are in, they then have to tell you when you are out. And that’s an uncomfortable conversations most HR geeks and managers would rather avoid. 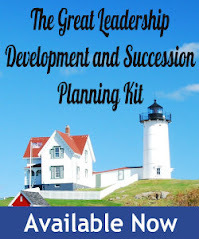 To deal with this “tell or don’t tell” dilemma, the folks who design and run succession planning systems (and I was one of those geeks) figure the fast trackers will easily be able to figure it out once they are anointed. All of a sudden you start getting extra attention, you’re invited to elite training programs, offered mentors and executive coaches, are asked to take a battery of assessments, and you get special “stretch” assignments (extra work to develop you in addition to your regular work). Also, someone from HR asks you for an updated resume, development plan, picture, and asks if you are willing to relocate. You might get invited to be a guest trainer or speaker for internal training programs. And finally, those “in the know” start acting differently towards you – treating you with a new kind of respect. All of a sudden your jokes are funnier. I know this not just from running programs, but I’ve been a part of these pools at every company I’ve worked at. Now before you think I’m maybe too full of myself, I also learned what it was like to be yanked from one of these pools after a bad year. The funny thing was, no one told me. But I figured it out, and am glad to share these telltale signs with Great Leadership readers. So what are some of the clues that you may have fallen off the fast track? 1. Your mentor stops returning your calls. If you are able to get a meeting, your mentor seems distracted, rushed, or annoyed that you are wasting their time. Clearly the chemistry is gone and it’s time to break off the relationship. 2. HR doesn’t ask you for an updated resume or IDP this year. Last year’s is just fine, they say. 4. You sense that “new kind of respect” start to disappear. It’s as if that magic power you had is starting to wear off. 5. Your name falls of the invite list for meetings, distribution lists, and other things that only the cool kids are invited too. 6. Your boss seems relieved. You are no longer a threat to take over their job. 7. No more stretch projects. Instead, you are given assignments that “play to your strengths”. 8. Random people stop you in the hallway and give you a wedgie. Well, Ok, that only happened once, and it may have been totally unrelated. So what to do if this happens to you? First of all, you might just need to accept it with grace. Perhaps you really weren’t ready for the next level. After all, only the top 3-5% of any organization really is high potential. Your organization wouldn’t be doing you any favors by promoting you and setting you up for failure. Higher management isn’t for everyone, and it might not be for you. There’s something to be said for doing what you enjoy and being good at it. However, if you truly believe you have what it takes to rise to the next level, then whatever you do, don’t get bitter and give up, or lose your self-confidence. Resiliency is one of the key characteristics of high potentials. Believe me; I’ve seen it happen all too often. 9-box performance and potential grids are filled out, and last year’s superstar is all of a sudden this year’s disappointment. Then, the following year, after a strong year, they’re back at the top of the list. See if you can get constructive feedback on what skills you seem to be lacking. Maybe it’s a perception issue? Or perhaps you have the skills but didn’t have a chance to demonstrate them, or didn’t realize they were seen as important. Sometimes it happens after a regime change, and you’ve lost your sponsors so it’s time to cultivate new ones. And of course, there may be some genuine skills gaps that you can begin to attack on your own. You don’t need special programs to if you’re seriously motivated to get better at something. Look, organization systems for identifying high potentials are nowhere near perfect. At best, the accuracy rate is maybe 50%, no better or worse than picking college football players for the NFL. So if you find yourself “in”, don’t let it go to your head. Stay focused on doing a good job, take advantage of the development opportunities, and recognize that your status is only temporary. It’s not a lifetime appointment. The fast track is not a non-stop trip to the top; it’s a journey with many stops and possible paths. You may find yourself getting on and off the track throughout your entire career, and each stop is an opportunity to grow and develop. I love that list. I've seen it happen to people (and to myself) and the decisions and conversations are made and sometimes it takes time for them to realise. I'd like more of a culture where you are confronted with any problems rather than put on the slow track again but that's big business I guess. This is important information. On a number of situations, I've seen some high-potential people get over-looked. My view is that if you feel you have not been selected for a fast track, then you Must take action to pursue your own professional development. It will help and you may get selected later because of the results you achieve assited by self-learning. I hear you. From an individual perspective, we'd all prefer more transparency. Thanks. Agree, "fact tracker" is just a label, based on imperfect judgement. It should never stop you from charting your own course and development. Thanks. Thank you for sharing this. Sometimes you're ahead and sometimes you're behind. But the race is long, and in the end it's only with yourself.